All about West Bengal Teacher Eligibility Test (WB TET) ✓ Notification ✓ Application Form ✓ Syllabus ✓ Admit Card ✓ Eligibility ✓ Question Papers ✓ Sample Papers ✓ Answer Key ✓ Exam Date ✓ Exam Pattern ✓ Preparation Tips for the post Primary Teacher (from 1st class to 5th class) and Upper Primary Teacher (from 6th Class to 8th Class) examination to be held in 2019. Candidates interested in appearing for the exam should apply only through online process from official website of West Bengal TET i.e. www.wbtet.nic.in or www.westbengalssc.com. The Government has Decided to Conduct The West Bengal Teachers Eligibility Test – WB TET 2019 Exam Once Again in the Current year to help more Number of Candidates to Apply for West Bengal TET 2019 The State Government has announced the TET West Bengal 2019 Latest Schedule now. 4. Download Admit Card : As will be notified later. 1)Aspirants should pass the Senior Secondary or its equivalent with minimum 45% marks. 2)Those are ready to appear in 2 year Diploma in Education in Special Education/4 years Bachelor of Elementary Education (B.EI.Ed) /final are eligible to apply. 3)Aspirants those are pursuing 2 years Diploma in elementary Education are eligible to apply for the primary level post. 1)Aspirants should pass the B.Sc/ B.A or equivalent to this. 2)Those are appearing in B.Ed/Secondary Education and also pass with it minimum 50% marks. 3)Those who qualify the Final 4 years Bachelor in Elementary Education (B.EI.Ed) are also eligible tom apply. 4)Those are appearing in Final 2 year B.Sc B.A/ D.Ed and also pass it with minimum 45% marks. Candidates are required to apply online application form from the official website www.wbtet.nic.in or www.westbengalssc.com. After successfully submission of application form, candidates need to take print out of duly filled application form for future references. (b) Application fees for reserved (SC/ST/ PH-VH/PH-HI/PH-OH) categories: Rs.80 /-. A Person who scores 60% or more in the TET examination will be considered as TET pass. However relaxation up to 5% in the qualifying marks shall be allowed to the candidates belonging to reserved categories, such as SC/ST/OBC/PH. d) Personality Test: 5 marks. The candidates may download their admit cards from the official website of the School Service Commission www.westbengalssc.com after publication of date and appear in the examination at the given Centre. In case of any discrepancy in the particulars of the candidate or his/her photograph and signature shown in the admit card and Confirmation Page the candidate may contact respective Regional Commission during stipulated date & time as will be notified further. Candidates will be able to download their Admit Card before the two weeks of the exam. 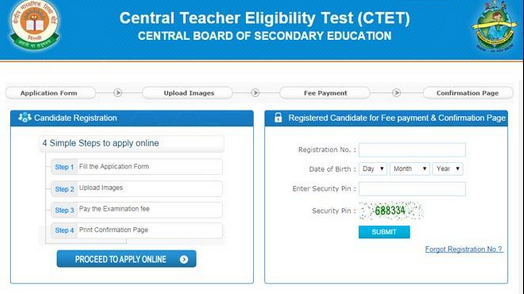 Candidates are requested to visit the same website to download their Admit Card For West Bengal Teacher Eligibility Test (WB TET) Exam 2019. 1:- Log on to the official website www.wbtet.nic.in or www.westbengalssc.com. STEP#01: Log on to official website of West Bengal TET. to apply online for WBTET. STEP#04: Fill and edit WB TET 2019 online application form. what is the 2015 west bengal primary tet form fillup last date ???? i m from commerce background but had science stream in class 10 so should i apply for mathematics and science? what is the age limit for primary tet exam 2015 (class 1 - v). please reply me immediately.